Shaker style furniture has been around for hundreds of years and is still to this day one of the most popular styles for residential customers. 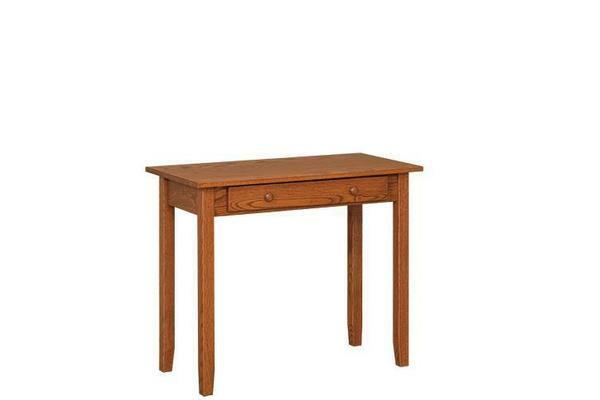 Its traditional look is timeless and one that is not going away any time soon, just like this simple & traditional Shaker Style Writing Desk. Handcrafted from premium North American hardwoods, this small writing desk also includes a pull-out keyboard tray to help make the most of its small size. Order yours today in the wood and finish of your choice.